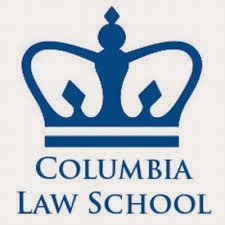 Last week Columbia Law agreed to let students traumatized by the Eric Garner GJ vote put off taking their final exams. Some legal professionals thought this was not the best idea they had heard (Judge Richard Kopf, "A Gentle Rebuke"; Scott Greenfield, "Take the Test"). To this chorus let me add, toughen up, cupcakes. The primary function of a lawyer, and particularly a litigator, is to be an advocate for others. Our clients have often been traumatized or wounded in some way, and it is our job to go forth and battle for them. They are depending on us to be their warrior, and they expect us to do our jobs. Hence, Judge Kopf's refrain, "it is not about you," is particularly apt. Sure, our clients expect us to show empathy and understand their position, but their experiences and cases are about them, not us. As students poised to go into the world as baby lawyers, you must be ready to put the weight of your clients' needs and problems on your shoulders. To do so you must be prepared to absorb the misery and trauma they have suffered. I repeat: they suffered, not you. Bad decisions, unexpected jury votes, even the depressing sense that the fix was in, are all part and parcel of being a litigator. These often land like crippling kidney punches, with a long, lingering effect. So what? These are precisely the moments when you need to shake off the impact, analyze the landscape, and step forward, ready to continue the fight. Demonstrate, write letters to editors, get into drunken arguments in bars, lie in bed all day, do whatever you need to, but do so on your own time. Just like everyone else who managed to get to work the next day, so too should our baby lawyers be tough enough to sit for a few exams. Frankly, it's a little embarrassing.